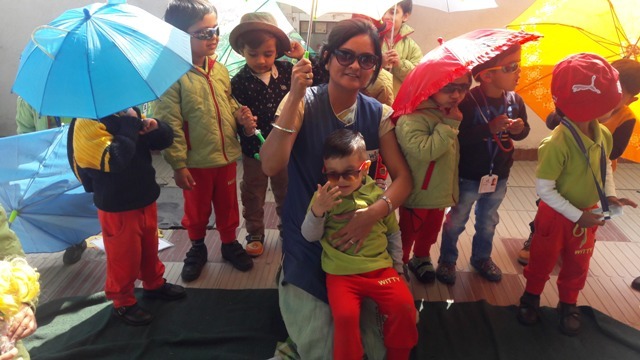 The tiny tots of Play group did the activity of sun bathing with great zeal on 13-02-2017. The kids brought hats, sunglasses and umbrellas from their home. They learnt that sun gives us sunlight, which provides vitamin D. The kids could recognize the sun shape and colour of sun. 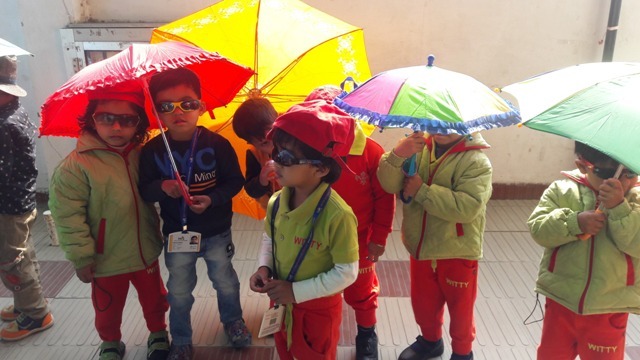 Through this activity kids learnt that they have to wear hat,sunglasses and use umbrella when they go in sunlight to protect their eyes.